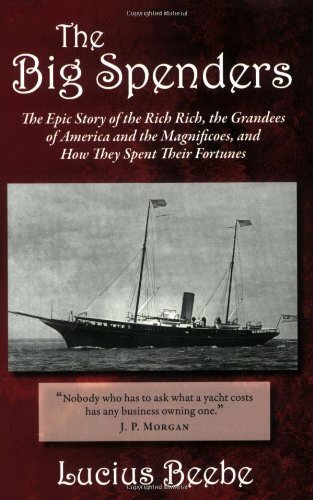 The Big Spenders was Lucius Beebe's last and many think his best book. In it he describes the consumption of the Gilded Age. Beebe enjoys it all immensely, and so do we his readers, whether it is James Gordon Bennett buying a Monte Carlo restaurant because he was refused a seat by the window, or Spencer Penrose leaving a bedside memo reminding himself not to spend more than $1 million the next day.